It was Mark Twain who reportedly quipped, "The coldest winter I ever spent was a summer in San Francisco." While he didn’t actually say it - aiming his barb instead at an unseasonably cold summer he spent in Paris, France, it is common knowledge that visitors to San Francisco in the summer often have to buy cheap fleece jackets in the souvenir shops because of the fog and decidedly unsummer-like chill in the air. It’s the real deal. It’s home to sea-wizened commercial fishermen (and women) and their fleets, people who live aboard ancient boats that have been berthed here for years, aggressive sea lions that compete for the day’s catch, and local hangouts for coffee and beer pre- and post-fishing. 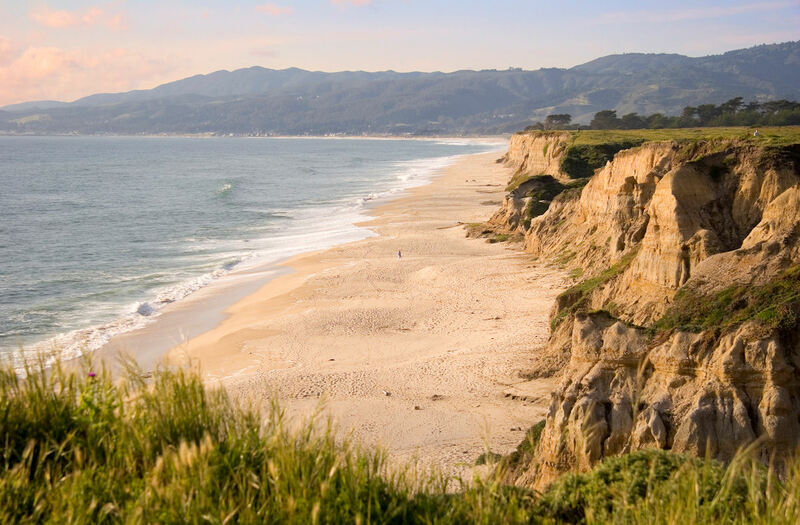 Montara Mountain perches above the rugged Pacific Coast north of Montara and south of Pacifica, above the infamous Devil’s Slide. If you’re willing to climb you’re afforded absolutely spectacular views.